Gate Street Cottage is the perfect place for a romantic and memorable retreat. This more than 100 year-old cottage is set among lush gardens which are lovingly maintained by a master gardener and just steps from the many offerings that Canada's most picturesque town has to offer. Gate Street Cottage has been lovingly restored and features all the modern conveniences mixed with original hardwood floors, a claw foot tub, a picket fence and a covered porch. Relive your wonderful memories of the day, as you sleep in one of the three beautiful furnished bedrooms, including a first floor king/twin suite or a second floor queen and king suites-all with their own ensuite bathrooms. 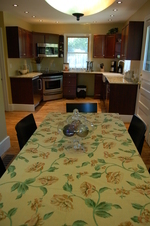 The fully-equipped kitchen, adorned with granite countertops and stainless steel appliances overlooks the back gardens. Enjoy the garden view from the deck and lounge seating area while your meal cooks on the grill. 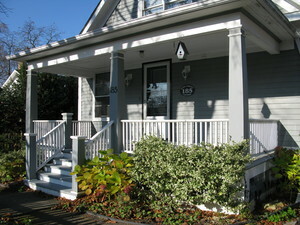 We invite you to stay at Gate Street Cottage in Niagara-on-the-Lake for an experience you will want to repeat.